The head of Vauxhall has said lack of clarity over Brexit threatens the future of its Ellesmere Port operation. 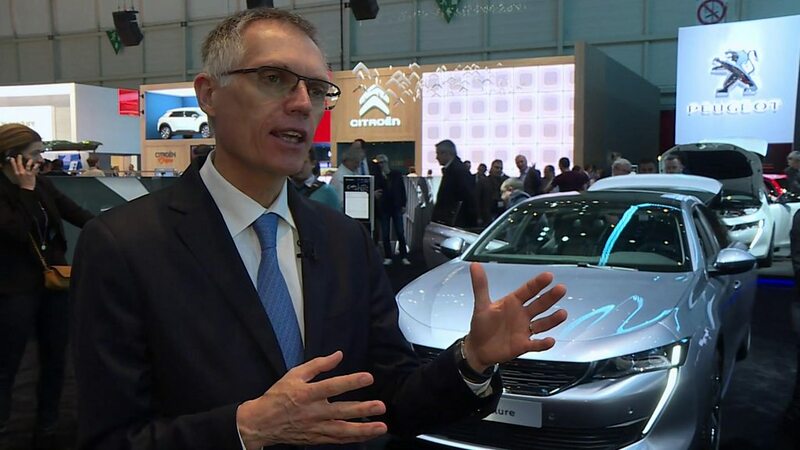 Carlos Tavares, chief executive of PSA, which owns Vauxhall, Peugeot and Citroen, said clarity over the terms of the UK’s departure was “a big concern”. He told the BBC that uncertainty undermined Ellesmere Port’s chances of getting more work after 2021. “We cannot invest in a world of uncertainty,” he said. Speaking to the BBC at the Geneva Motor Show, Mr Tavares said the decision on whether or not to give Ellesmere more work would need to be taken “very soon”. A spokesperson for the government’s Business Department said: “The Business Secretary [Greg Clark] has met with Vauxhall’s senior management team on a number of occasions to understand their plans for their Ellesmere Port plant. The general secretary of the Unite union, Len McCluskey, said: “Of course, the government position on Brexit is creating uncertainty for major manufacturing companies but this should not be used by Mr Tavares to raise the fear of closure of Ellesmere Port. “The UK market is vitally important to Peugeot and if he wants to protect that market share he should openly commit to new models in both Ellesmere Port and Luton. Mr Tavares said: “I would like to praise our UK people in terms of their efficiency, but at the same time we need clarity. PSA said last year it was committed to keep making the Astra at Ellesmere Port, but it has also said that manufacturing costs at Ellesmere are higher than other plants it owns. However, it said this month that it was cutting another 250 jobs at Ellesmere Port on top of 400 cuts it announced in October. Vauxhall employs about 4,500 people in the UK, with about 1,800 at Ellesmere Port. The company also has a factory at Luton, which makes vans. In August last year, PSA became Europe’s second-biggest carmaker, after Volkswagen, when it completed the purchase of Vauxhall and German brand Opel from General Motors.